The Windrush Generation & Lost Educational Opportunities: How can the Commonwealth learn from this? India and the Commonwealth: Policies, People and Politics – can the media help with the future? Annual Conference 2018 - Shared Commonwealth Values in Education: Where are we now? 19-22 February 2018 Sustainability and Resilience: Can education deliver? Hosted at St. George’s University in Grenada, West Indies. What is ‘success’ in the education context, and from whose perspective? What are the main challenges facing education provision for the 21st Century, in the Caribbean and beyond? The many forms of disadvantage and discrimination faced by the Windrush Generation have been brought to the fore this year, particularly as a result of David Lammy’s powerful campaign. However, over the last 60 years these once-welcomed immigrants and their families have faced real challenges in achieving equity of access to education and at all levels of provision. In many parts of the world, especially in Africa and Asia, the education of girls is limited and even curtailed by cultural and social inhibitions surrounding menstruation. This is a massively important issue but, because of sensitivities about what can be mentioned in polite society, it is very often ignored, blighting the lives of thousands of young women and thwarting the development of whole countries. The CEC has brought together four experts in the field, all of whom have practical experience of alleviating the problem through practical action. This discussion will be a major opportunity to hear about one of the most vital matters affecting the education of young women, and possible solutions through collaboration. All are welcome. 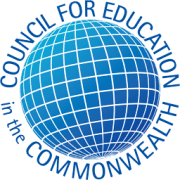 © Copyright 2018 (CEC) Council for Education in the Commonwealth. All Rights Reserved.